Timing is everything in Dennis Quaintance’s world. When he moved to Greensboro in 1979 to help old friend Bill Sherill open Franklin’s Off Friendly, the timing was right. Nine years later, when he teamed up with developer Mike Weaver and opened Lucky 32 Southern Kitchen, the timing was right. 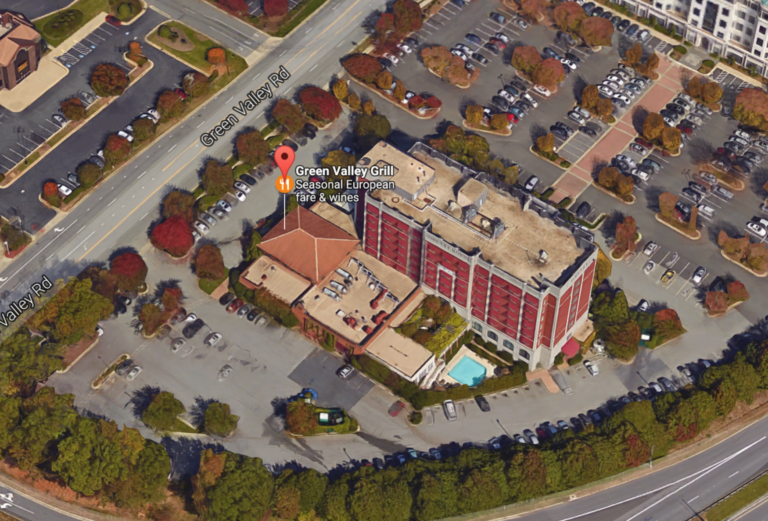 And each subsequent project — the O. Henry Hotel and its Green Valley Grill, the Proximity Hotel and its Print Works Bistro, and a second Lucky 32 in Cary — was done only when the timing was right. As of January 15, the timing was right. Starting that night, “Thursday Night Cocktails and Jazz with Neill Clegg and Dave Fox” came to life, transforming the O. Henry’s lobby into a jazz venue. Two of the Triad’s most revered musicians, Clegg who plays saxophone, clarinet and flute, and Fox, who plays piano, are music professors at Greensboro College and frequent collaborators. They will be the mainstays of the jazz night, but they will also bring in a featured vocalist each week. Indeed, the roster is a who’s who of top-shelf vocalists: Joey Barnes, who kicked off the series; Nishah DiMeo; Jessica Mashburn; Martha Bassett, who will perform tonight; Chris Murrell; Sarah Strable and Clint Horton. But the music, although the main attraction, is only the beginning of the transformation. The room itself is the co-star, helping create the ambience that Quaintance had envisioned even before he built the hotel. When designing the O. Henry’s lobby, he purposely patterned it after the fabled Oak Room of the Algonquin Hotel on West 44th Street in New York, home of the Algonquin Round Table, the literary and theatrical giants of the 1920s, and later a 32-year-long flourishing jazz scene. The Oak Room closed in 2012. “I used to read about it and have been in the lobby of the Algonquin at least 10 times, and that’s always been the environment we wanted to create with the lobby of the O. Henry,” he said. “I know they haven’t done jazz there for years, but that’s always been the ambience we were going for. So, what is it about now that made the timing right? In short, it was his music sommelier and performance artist in residence, Jessica Mashburn. In addition to her own thriving career as a singer-pianist, she programs the music for all his restaurants and hotels and, with life and musical partner, Evan Olson, performs as AM rOdeO at Print Works Bistro every Wednesday night. And who did the asking? Neill Clegg and Dave Fox. The “Healing Blues” endeavor was a fundraiser for the Interactive Resource Center, initiated by their colleague at Greensboro College, art professor Ted Efremoff, wherein local songwriters were teamed up with homeless people, and they penned and recorded tunes about what got them to this point in their lives. All the proceeds from CD sales and four live concerts went to the IRC. “We were so honored to be asked to be included in this project,” Mashburn said. So, in early October, Mashburn arranged a meeting between Quaintance and Clegg. To say the two clicked would be an understatement. Clegg, the saxophonist, remembers it thusly: “He said a hotel lobby is a civic green space inside, where people can gather and be themselves, even though they may be strangers; there’s no place like it. I’d never heard it expressed that way. Quaintance smiled at his recollection of the meeting. “I knew he was the man who could make this happen immediately,” Quaintance said. The jazz project would need some marketing expertise, so Clegg’s wife, Victoria, was brought aboard to lead that effort. “I think we’re about to make some beautiful cultural history in Greensboro,” said Victoria Clegg, a felt artist, decorator and horticulturist. 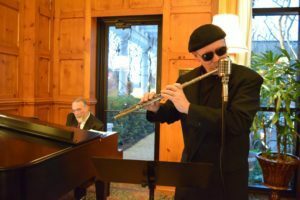 “On any given Thursday evening, you will step into O. Henry’s grand social lobby and find a diverse mix of the Triad’s cultural and artistic set. Quaintance said the festivities begin each week at 5:30 pm and run to 8:30 pm. There is no cover charge. As cool as a Gershwin tune set to a Cole Porter lyric.